Meizu Pro 7, Substitute iPhone 7 Plus Have Dual Camera and 6GB RAM! Many Android smartphones are now pinned incredible variety of specifications. In fact, many Chinese vendors who do not want to lose to create their best products. One of them who is reportedly preparing Meizu Meizu Pro 7 . True, recently there are leaks that show what Meizu Pro 7 . 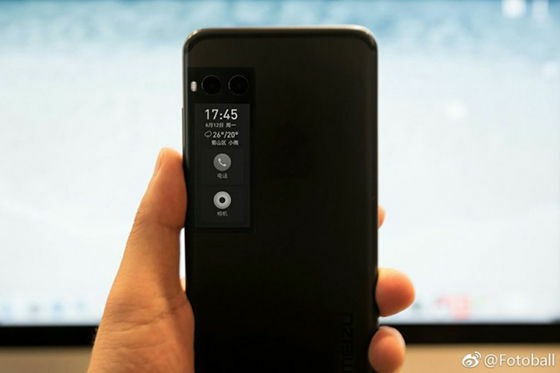 After seeing the manifestation of Meizu Pro 7, it can be concluded that this could be the successor of the iPhone 7 Plus the extraordinary high cost. Viewed from the rear, Meizu Pro 7 has dual cameras and features a design that looks comfortable to grip. Interestingly, there is a screen e-ink underneath lies the dual cameras . This screen shows the time, date, weather, and a shortcut to the camera and dialer. For spec, rumored specifications of Meizu Pro 7 will set the screen 5.2 inches of type AMOLED with the ability of 3D Touch . In addition, at the core Meizu Pro 7 MediaTek Helio X30 chipset embedded. About memory, Meizu Pro 7 will be implanted 6GB RAM.